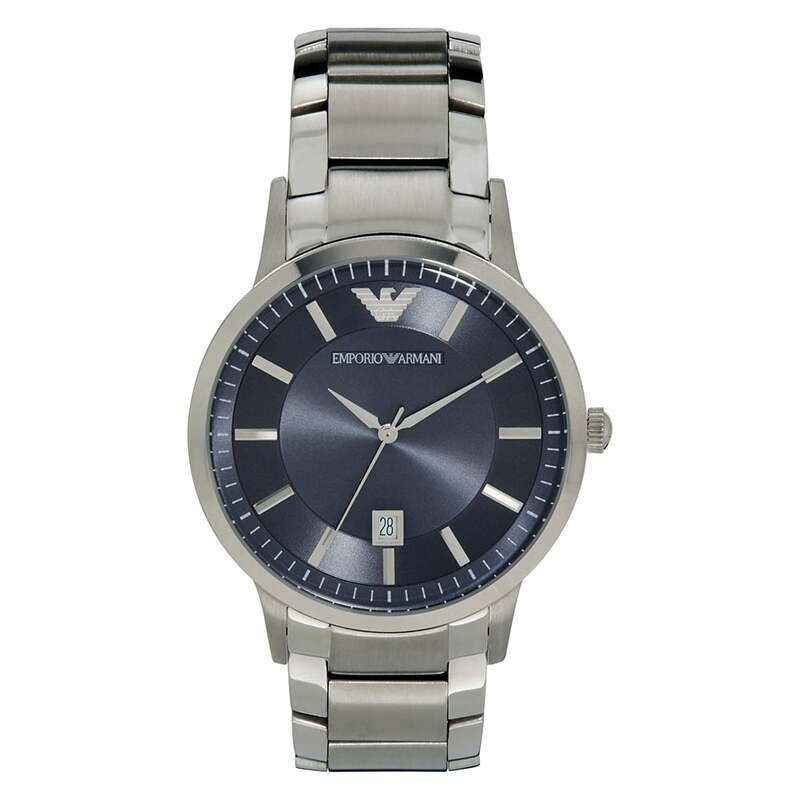 The Emporio Armani Stainless Silver Mens Watch is part of the Emporio Armani Gianni Collection. The AR2477 watch is a minimal timepiece with brushed stainless steel centre links and high polished outer link bracelet. The AR2477 features a rich blue dial with stainless hands and hour markers. Cosmetics aside the AR2477 also has a date display window, quality quartz movement and is water resistant to 50 meters. The Armani Watch AR2477 is in stock, allowing us to offer next day delivery in the UK if necessary. The Armani Watch AR2477 also comes with a 2 year Tic Watches warranty and an Emporio Armani presentation case.